Us? 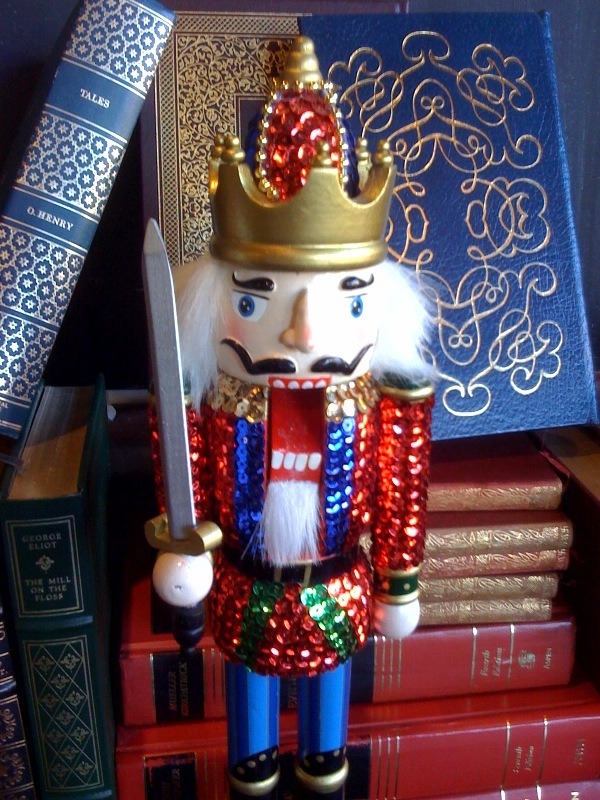 We’re thankful for our nutcracker, Frank. We’re thankful for Snow Leopard sequin chucks. We’re thankful for Chocolate Cranberry Bread from Provence. We’re thankful for fancy leather sofas from Mitchell Gold. We’re thankful for meeting friends for coffee at Frothy Monkey. We’re thankful for soft flannel Steven Alan plaids. We’re thankful for our new Hill Center community and our old 12South one, too. We’re thankful for friends & family, and we’re not afraid to show it. 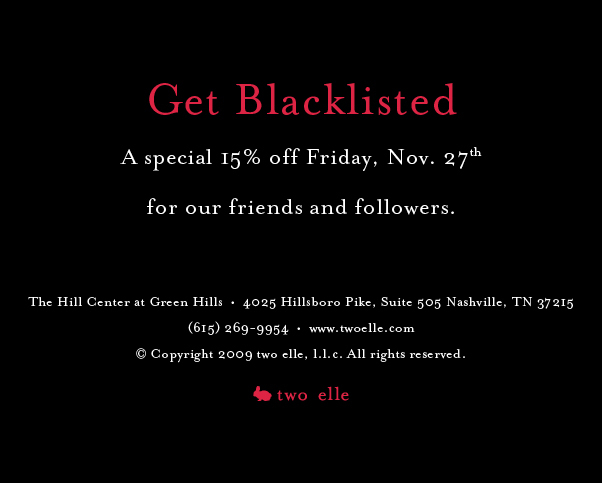 This Friday, we’re giving everyone on our Black List 15% off their entire purchase! Thanks for giving us a reason to give thanks! 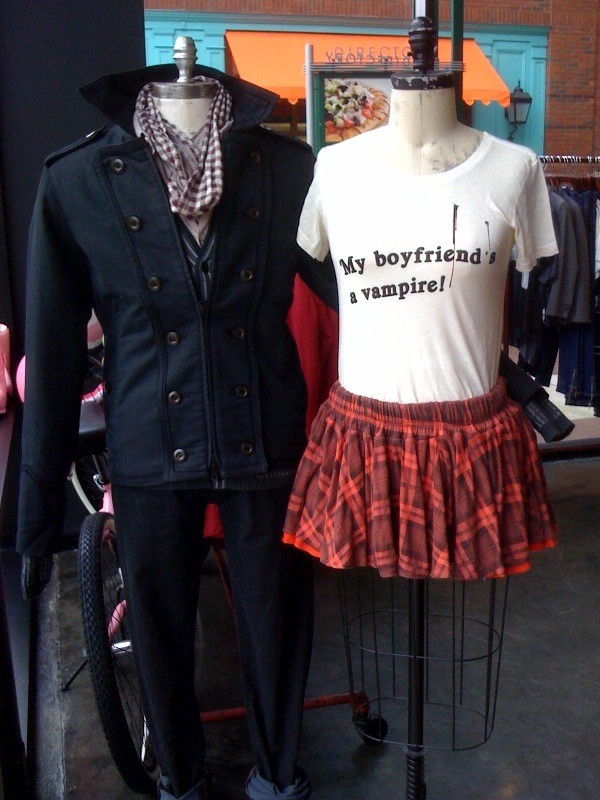 Like so many of you out there, our mannequin Beatrice has become obsessed with all things vampire. As such, the Wildfox “My Boyfriend’s a Vampire” tee has become her new uniform. Want to make like Beatrice and wear your blood-sucking love on your sleeve? Act fast, because we only have 3 shirts left and 2 vampire tote bags. And given how quickly you’re all racing to the theatres, we’re guessing they won’t last long…. Oooh! And make sure to follow us @twoellerabbits and our nutcracker Frank @twoellefrank on Twitter so that you’re kept in the loop for all our holiday specials and updates. We’re sure you all remember Frank from his holiday video with Millie & Ellie last year. Well, the holidays are upon us again, so Frank is back in action. This year, however, he’s exploring his new home at the Hill Center, and he’ll be serving as your holiday guide. And for those of you who need up-to-the-minute insight into Frank’s adventures, follow him on twitter @twoellefrank. Welcome back, Frank! Thank you for bestowing upon us this marvel of color and design. 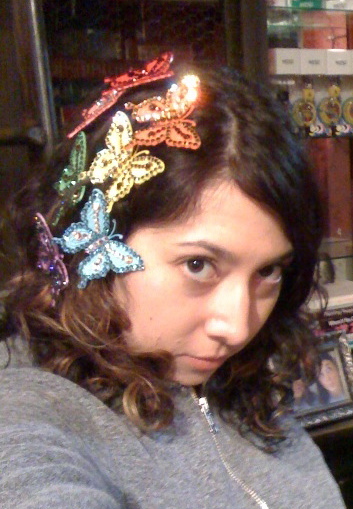 While each butterfly clip is for sale individually, Rachel felt the need to put all of them on immediately. So, one of each color has already sold out. Get here soon!